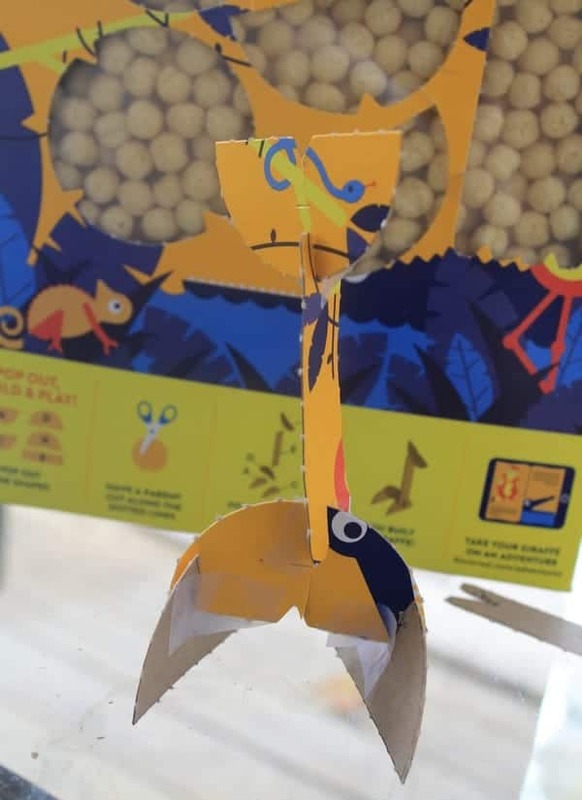 We’ve all heard of – and loved- surprised inside a cereal box, but KIX has found a way to turn the box itself into an exciting surprise! The new KIX Storybox, sold exclusively at Target, features fun pieces that you can pop out and use to create all sorts of adventures. Jacob and I tried out the Original KIX Storybox, with a super cool jungle theme. The box gave directions on how to make a cute giraffe, so we gave that a try. It’s funny because I couldn’t imagine the pieces resembling a giraffe until they all came together. Create your own adventure with KIX Storybox! After we followed the directions on the box, we still had leftover pieces, though, and Jake wanted to do something with the monkey. So we decided to head to the KIX Storybox website and see what else we could do. Jake wanted to try the racecar, but we didn’t have a second box available for that. So what did we do? We made a spaceship! I had a black foam board that I use for pictures, it was perfect for making a dark night sky. Since Jacob is so into computers, rather than put stickers on the actual board I let him play with a photo editing program to create his own night sky. Think of the foam board as a “green screen,” except not green, of course. Both Jake and I loved how we could take the pop-out pieces of the KIX Storybox and transform it into our own fun project. It was cool to explore the mixture of digital and physical media to create a cool craft together. 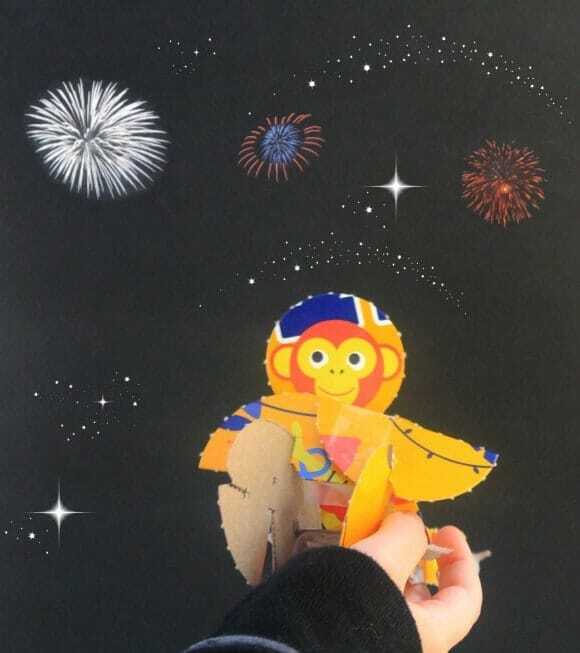 Once we finished that part, we talked about all the adventures that our monkey would have in outer space. Where would he go? What planets would he visit first? Jacob is interested in space right now, especially the idea of black holes and life on other planets. His interest in black holes actually started back in kindergarten. He’s already light-years ahead of me when it comes to physics (pun intended, although my lack of physics knowledge makes me wonder if it’s the right pun!). Who knew a cereal box could be so much fun? The KIX Storybox is exclusively sold at Target. 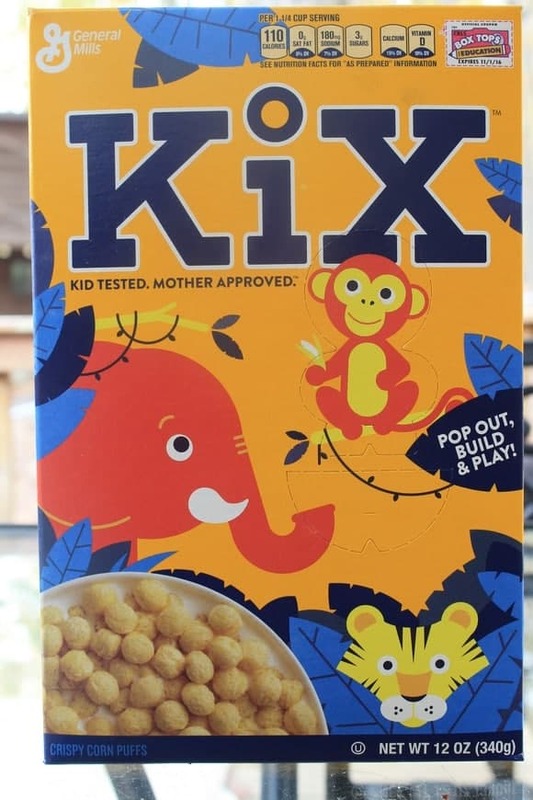 The Original Kix features the jungle theme, while the Berry Berry features a fun Under the Sea set and the Honey Kix focuses on woodand characters. Grab your favorite KIX and see what kind of imaginative adventures your children create! Which of the KIX Storybox themes would your kids enjoy most? What a great idea! More companies should do this with their packaging. This looks like a ton of fun for kids. Always loved the Kix box. You need all three so you can really create an adventure. This is so fun! What a fun little thing to make! 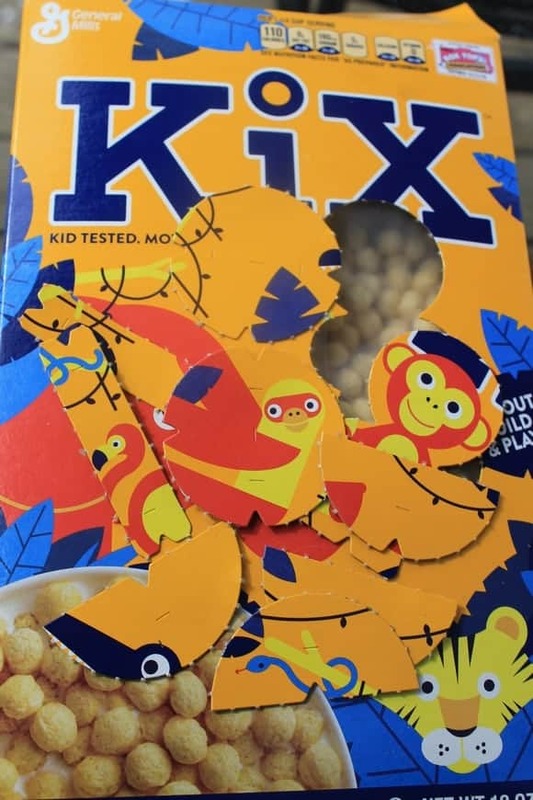 I haven’t had Kix in a long time, I wouldn’t mind picking up a box. How much fun is that?! My kids would love it! I like the cutout shapes for the kiddos! Kix is great! we don’t have kix here in our side of the world but this is really interesting instead of tiny toys inside cereal boxes. Kix is actually my favorite cereal. I can’t wait to get one of these story boxes! So neat! We always like to read the cereal boxes when we are eating anyway, now we can play too! I haven’t had Kiks in ages. My toddler would really love this. I may have to pick up a box this weekend when we go grocery shopping. What a great idea for Kix to do that! My kids love eating Kix but it has been a while since I have bought it. I will have to get it next time I go shopping. I love Kix anyhow, but this is such a great re-purposing use as well. I love it! kix, is one of my favorite cereals!! love the cut outs! KIX did an awesome job on this one. What a great way to make people buy their products and at the same time recycle it for playtime. That is absolutely genius! We haven’t been to Target in a while now and next time we go, I am going to get some. My kids would enjoy this. I have not had Kix in years! This is making me want to rush out and buy some right now! I’m gonna add it to the shopping list! Thanks! I have always been a huge fan of Kix. I love the new storyboxes! Do they still make this? Kix used to be my favorite cereal! Ooh I used to love Kix!! We love KIX and buy them often, however our box has never included something fun like this. Hoping to see this soon on some our future purchased boxes! THat is such a great idea!!! Love it! oh wow thats one neat box! i think everyone would want to play with it! Kix are for kids! I haven’t had Kix in YEARS!